U can also repeat the numbers. 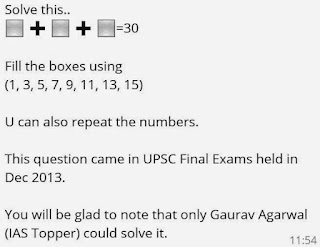 This question came in UPSC Final Exams held in Dec 2013. 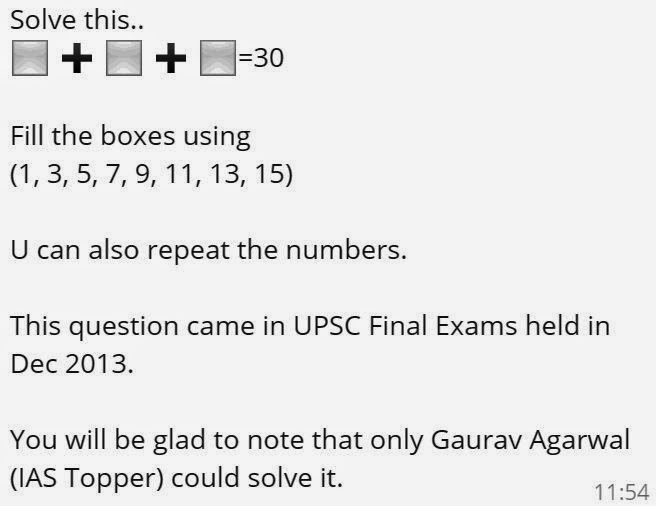 You will be glad to note that only Gaurav Agarwal (IAS Topper) could solve it.